So some 22 years after the original Jurassic Park film reignited the public’s passion for dinosaurs in a huge way, the film franchise revisits its roots – both within the Jurassic Park universe, and thematically, with the fourth installment – Jurassic World. This film has come in (unfairly, in my humble opinion) for criticism of the story, which admittedly has several absurdities. Without revealing too much about the plot, some 22 years after the first, ill-fated attempt to build a dinosaur theme park, Jurassic World is a thriving enterprise, entertaining the masses – it’s the park, open and running, as it was always hoped. There’s plenty to gawp at here – the dinosaurs look better than ever (the result of ever-advancing CGI) and the park itself is something of a wonderland – it’s easy to imagine being a visitor, and not knowing what to do first! We also get several nostalgic nods to the original film – one employee has an old ‘Jurassic Park’ t-shirt, whilst in one scene some of our characters stumble upon the remains of the original main hall from the first film – and even find one of the original jeeps. There is of course, nice use of the original, classic musical score – but whilst the film treats us to these little touches, it doesn’t dwell or wallow in them. 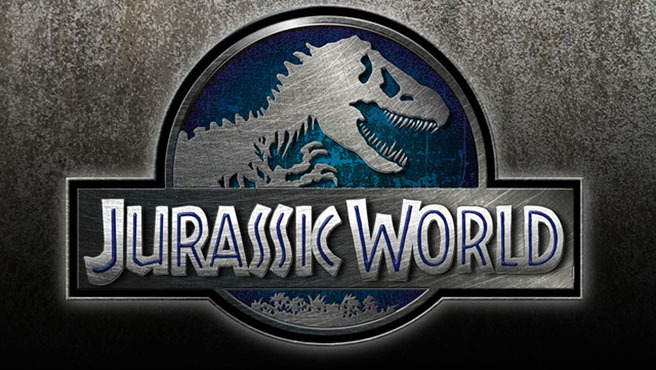 There’s been criticism of the film in terms of the characters – the two kids (who happen to be nephews of the park’s administrator) have in particular come in for criticism – but my advice would be to not read too heavily into characterisation in a film about a dinosaur theme park! That said, I would also say that they serve as a vehicle for their aunt rediscovering her humanity a little – she starts out being very much the organiser, the strategist, who sees things in terms of cold numbers, but as the film moves forward, she loosens up (she has to really) and becomes more likeable in the process. There’s a lot of fun to be had with this film. It is silly. There are elements to the plot that make no sense. There are some far-fetched ideas that even certain characters within the film scoff at. None of that matters if you ask me – the film is entertaining. It’s filled with nice little touches and hairy moments. It’s not got the punch of the original, but it certainly respects it, and for that, I would recommend you see it!